Last updated on January 29 2017. No DDoS protection by default. "Lightsail snapshots cost $0.05/GB-month. That means if you take a snapshot of your 30 GB SSD instance and keep it for a month, you pay $1.50 at the end of the month. " CPU, Network In, Network Out, Status checks. No visible option to set the reverse DNS, even for a static IP. Options are stripped down to a minimum. It's very easy to get started. 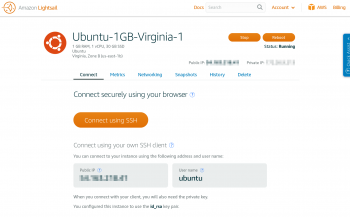 Lightsail only offers the choice between 4 availability zones in the same datacenter (Virginia). SSH keys from AWS can't be used in Lightsail. 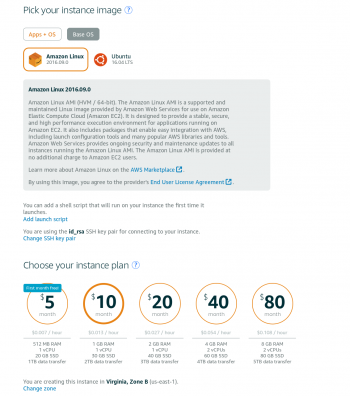 For a comparison of storage features and prices from all providers, please check the Cloud Storage page. The Screener shows all Amazon Lightsail plans side by side with their grades in 5 categories. 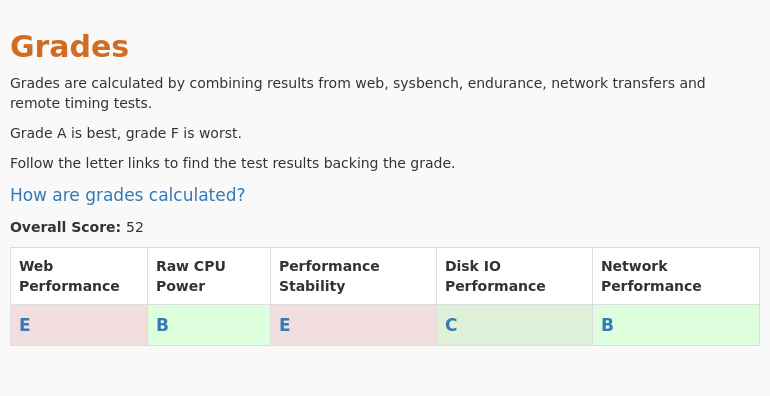 Grades are calculated by combining results from web, sysbench, endurance and remote timing tests. Grade A is best, grade F is worst. We conducted 5 different types of tests for Amazon Lightsail - 1GB 1core. Review the results and compare this plan to its competitors. This plan was tested 6 times at vpsbenchmarks.com. The table below shows all trials run on the 1GB 1core plan and the web response times for every one of those. 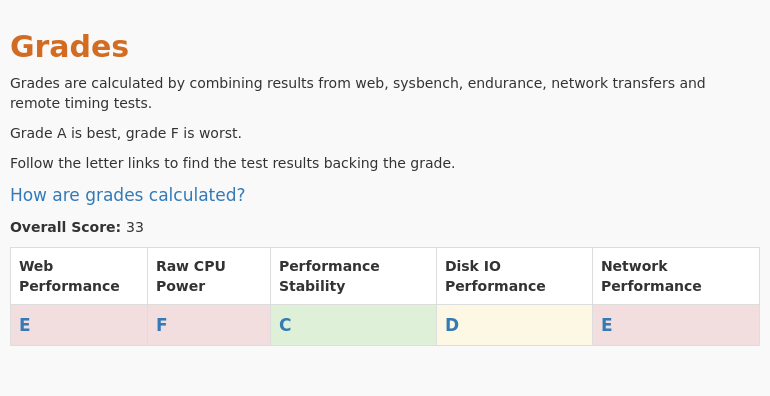 We conducted 5 different types of tests for Amazon Lightsail - 2GB 1core. Review the results and compare this plan to its competitors. This plan was tested 4 times at vpsbenchmarks.com. The table below shows all trials run on the 2GB 1core plan and the web response times for every one of those. 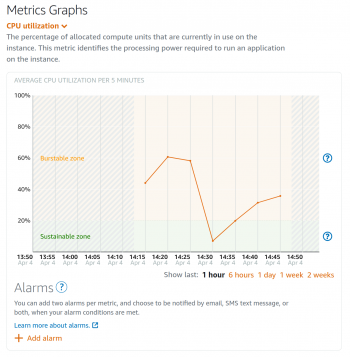 We conducted 5 different types of tests for Amazon Lightsail - 4GB 2cores. Review the results and compare this plan to its competitors. This plan was tested 2 times at vpsbenchmarks.com. 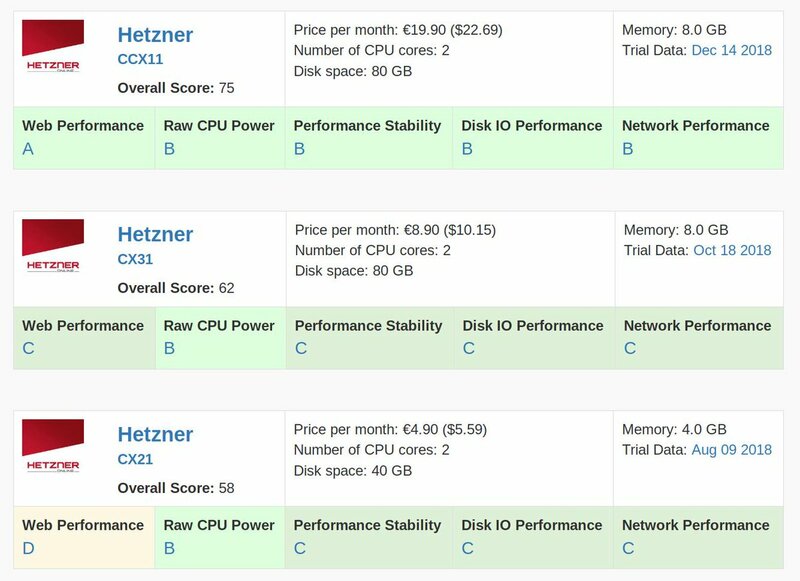 The table below shows all trials run on the 4GB 2cores plan and the web response times for every one of those.